Last Christmas, I read the majority of Carol Ann Duffy’s annual Christmas poems, all of which I very much enjoyed. To get us in the mood for the current festive season, I thought that I would amalgamate my short reviews of them all into one post. This extended poem, about a young girl’s longing to find out whether Santa is real, is just as lovely as ever. The artwork here is gorgeous; minimalist and lovely. A delightful volume. This was the first of Duffy’s Christmas poems which I read after finding a lovely little copy for fifty pence in a Notting Hill bookshop, and it evokes one of my favourite historic Christmas stories, that of the 1914 truce between German and English soldiers in the trenches, when they played the famous football match and sang carols. There is such humanity and sensitivity packed into these pages, and it is a true delight to settle down with each winter. A beautifully illustrated and rather sumptuous poem; perfect for making one think of Christmas past, and the true message of the season – good will to all men. Alice Stevenson’s art is lovely and fitting, particularly with regard to scenery and still lives, and Duffy is on form with the originality of her wordplay throughout. I particularly enjoyed the use of sibilants, and think that this would be a great volume to read aloud: ‘The moon rose; the shepherd’s sprawled, / shawled, / a rough ring on sparse grass, passing / a leather flask’, for instance. On the whole, it is a really sweet poem which promotes a nice message, but I think it would have been better had it been extended slightly. Still, it is a lovely contemplative Christmas read. I put off reading Dorothy Wordsworth’s Christmas Birthday when it was first released as Carol Ann Duffy’s annual Christmas poem, but couldn’t resist ordering a secondhand copy to read over Christmas 2016. It’s not that festive, but it is a lovely little volume. The art style is gorgeous, and I loved the use of just a few colours, an effective and evocative choice on the part of the illustrator. The poem itself was sweet; not my favourite Duffy, but a simple and vivid story nonetheless. It is not as playful as a lot of her other work; the vocabulary used is not unusual, and was even a little simplistic in places. Still, I feel that I will probably indefinitely reread this once a year as the festive season rolls around. I love the fact that The King of Christmas is based upon tradition from the Middle Ages, in which a Lord of Misrule could be appointed to take charge if the original ruler was in need of a break, or some light relief. The art here is very appealing, and Duffy’s rhyme scheme and wordplay worked perfectly. Thoughtful and mischievous, The King of Christmas evokes winters past in rather a magical way. It is a perfect addition to the set. I always mark Remembrance Sunday by reading some semblance of war poems. 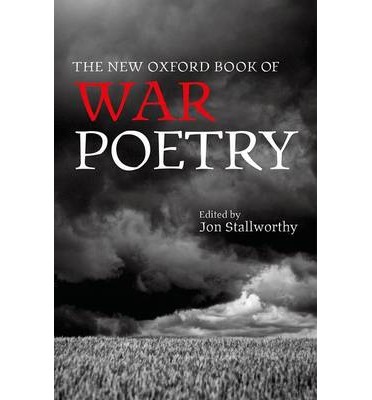 This year, I decided to read the marvellous Oxford Book of War Poetry for the umpteenth time, focusing solely upon those featured which were written during the First World War. This book features some of my absolute favourite poets (Alfred Lord Tennyson, John McCrae, Wilfred Owen, etc. ), and spans from battles outlined in the Bible and an extract from Homer’s Iliad, to present day conflicts. It is, I think, the most marvellous and extensive collection of themed poetry which exists. My favourite poems from the First World War in this collection are: ‘The Soldier’ by Rupert Brooke, ‘Into Battle’ by Julian Grenfell, ‘In Flanders Fields’ by John McCrae, ‘All the hills and vales…’ by Charles Sorley, ‘Range-Finding’ by Robert Frost, ‘Calligram, 15 May 1915’ by Guillaume Apollinaire, ‘Reprisals’ by W.B. 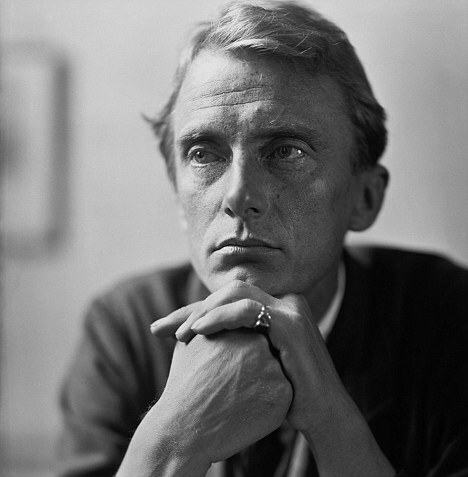 Yeats, ‘The Hero’ by Siegfried Sassoon, ‘Glory of Women’ by Siegfried Sassoon, ‘In Memoriam’ by Edward Thomas, ‘The Cherry Trees’ by Edward Thomas, ‘Rain’ by Edward Thomas, ‘As the team’s head brass’ by Edward Thomas, ‘To His Love’ by Ivor Gurney, ‘The Silent One’ by Ivor Gurney, ‘On Receiving News of the War’ by Isaac Rosenberg, ‘Break of Day in the Trenches’ by Isaac Rosenberg, ‘Dead Man’s Dump’ by Isaac Rosenberg, ‘Returning, We Hear the Larks’ by Isaac Rosenberg, ‘Anthem for Doomed Youth’by Wilfred Owen, ‘Dulce et Decorum Est’ by Wilfred Owen, ‘Exposure’ by Wilfred Owen, ‘Insensibility’ by Wilfred Owen, ‘The Send-Off’ by Wilfred Owen, ‘Futility’ by Wilfred Owen, ‘Strange Meeting’ by Wilfred Owen, ‘Two Voices’ by Edmund Blunden, ‘Winter Warfare’ by Edgell Rickword, ‘My sweet old etcetera…’ by e.e. cummings, ‘next to of course god…’ by e.e. cummings, ‘i sing of Olaf’ by e.e. cummings, ‘In the Dordogne’ by John Peale Bishop, ‘For the Fallen’ by Laurence Binyon and ‘Rouen’ by May Wedderburn Cannan. I shall end with one of the poems I mentioned above, ‘Winter Warfare’ by Edgell Rickword. gaunt in the grey air. I have been speaking to a lot of English students about poetry of late, and it seems that they either adore it and cannot get enough, or really don’t know where to start. I have been sharing weekly poems on the blog almost since its inception, and thought I would make a little guide of where to start with poetry, and where to continue with it if you are already a fan. I have adored work by the poets below, and would highly recommend them, both for new and established readers of one of the most beautiful forms which literature has given us. 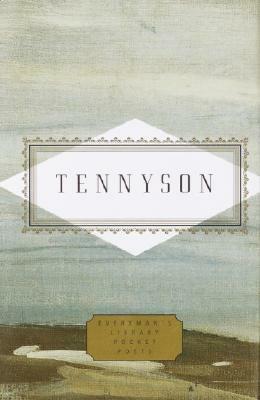 Words cannot describe how much I absolutely adore the poetry of Alfred Lord Tennyson. Ever since first coming across him in my teens, I have been struck by the beautiful images which he sculpts, the history and mythology which he weaves in, and the sheer power of the language choices which he makes. Reading his Collected Poems for my Classics Club challenge this summer was the third time in which I have settled down to do so. Whilst I sadly did not make it through the entire volume this time around due to time constraints, I loved the process, and re-reading his poems felt as though I was in the company of the oldest and most comfortable of friends. Rather than wax lyrical about his poems too much, I thought I would just share a few of my favourite fragments with you. I have read these poems before, but I enjoyed them so much that I was thrilled when April chose them as our September book club read. I already had a copy of them on my Kindle, and found myself reading them on Easter Sunday whilst in France – a perfect setting for such beautiful writing. Each one of these poems, without exception, is beautifully written. I found myself enjoying those which are non-religious far more, but that is merely personal preference. I love the way in which the sisters often use history as a backdrop to these works, along with a wealth of other themes, which stretch from life, nature, freedom, writing, philosophy and the changing seasons, to running away, grieving and death. – Anne Bronte – ‘The Arbour’, ‘Home’, ‘Memory’, ‘The Consolation’, ‘Lines Composed in a Wood on a Windy Day’ and ‘Views of Life’. – Charlotte Bronte – ‘Mementos’, ‘The Wood’, ‘Frances’, ‘The Letter’ and ‘The Teacher’s Monologue’. – Emily Bronte – ‘Faith and Despondency’, ‘Song’, ‘The Prisoner’, ‘How Clear She Shines’, ‘Sympathy’, ‘Death’, ‘Honour’s Martyr’ and ‘Stanzas’.